Nick Chow was always a Honda guy but didn't realize he was an S2000 guy until his Prelude went kaputz. 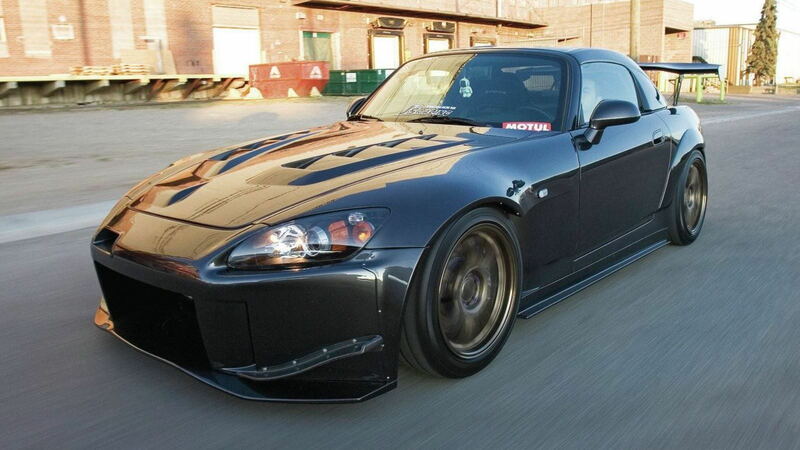 See how he took a factory S2000 and turned it into his dream car. Out with the old, in with the new, Canadian style. That's how it went for Nick Chow of Alberta Canada when a mechanic's error cost him his Honda Prelude. Although he tried to restore the engine, "The whole stress of the engine build made me hate the car," Nick explained. "I needed a fresh start." That's when "in with the new" came into play for Nick. As luck would have it, Nick took one look at his friend's JGTC S2000 at A&J Racing and decided he needed to have one of his very own. 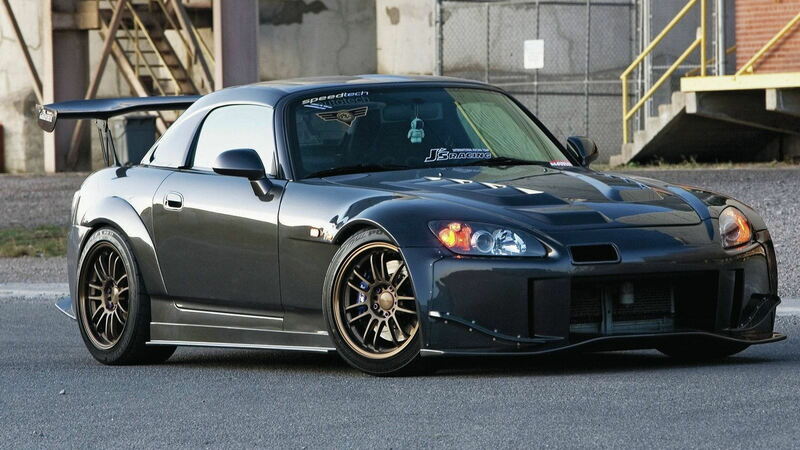 >>Join the conversation about Nick Chow's modded S2000 right here in S2Ki.com. This is when things got interesting for Nick. Back in the early 2000s, it was no easy task to find an S2000, especially not in Alberta, Canada. As he tried to track down the right car, Nick and his friend Ben from A&J Racing ordered a full rack of parts and the kit they would need to completely mod out his eventual S2K. For a period of time, Nick feared he'd never find a car for his garage full of parts. But eventually, he was able to convince a friend to sell him his S2K. The first order of business was bringing the S2000 into the shop and spraying it to match the body kit. Nick was content with his S2K until he learned that the new J's Racing wide fenders had just become available. He added the wide fenders, but that posed a new problem. Now he needed wheels to match the aggressive look of the fenders. So he found a set of Volk RE30s and then for good measure threw on a Mugen hardtop. "I really enjoyed the looks of the car in its OEM form, but the funny thing is I hated having the top down. 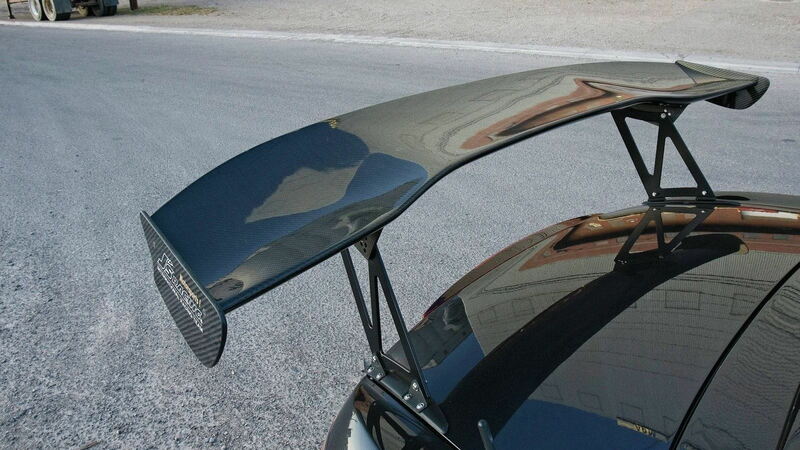 I find the car more stable with the hardtop on," explained Nick. Under the hood and in the heart of Nick's S2K pumps an F20C engine with Tabata TR236 dual-core, thermo switch, and 1.3 radiator cap. The thermostat, Tsuchinoko intake piping, SLP 66mm throttle body and valve cover come courtesy of J's Racing. T1R was the chosen brand for the 70REM titanium muffler, 70mm with O2 Sim catalytic converter, ignition bridge, and voltage stabilizer. Nick's story took a very relatable turn when in 2008 he added a mortgage to his monthly expenses. Suddenly he couldn't afford to do any more mods on his beloved S2000. So what did Nick do? He got a second job in order to keep the transformation going. The extra money enabled him to swap out his Bride seats for a set of Spoon buckets. He replaced his exhaust system with a T1R 70REM, upgraded to T1R BBK brakes, and added Volk RE30 Rims to his wheels. 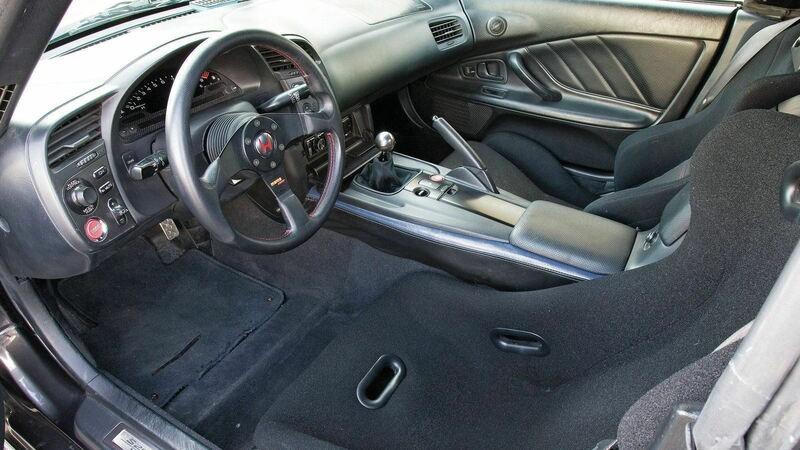 Three years later, Nick was at it again, making changes to keep his S2000 fresh. "I recently installed a set of non-staggered Volk TE37s and replaced by Spoon seats with some Mugen S1Rs," Nick reported in 2011. "This year the car should be seeing some significant suspension upgrades, gusset plates, steering collars, some OEM CR components and a more aggressive alignment for starters." Here's hoping Nick was able to make these new changes and if we can find out what he's been up to lately we'll certainly share the fruits of his evolving story and S2000!